Tag Archive | "Department of Education"
So Long Federal PIN, Hello FSA ID – Starts May 10th! 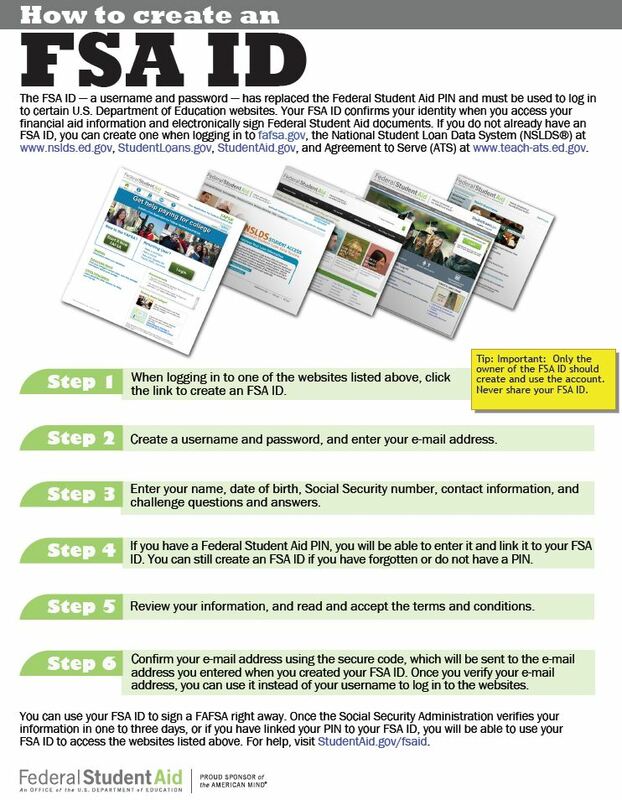 For a number of years, college-bound students (and their parents in most cases) across the country would be required to utilize their uniquely assigned Federal PIN to electronically sign and submit their FAFSA (Free Application for Federal Student Aid). In addition, this Federal PIN would serve as an electronic signature for any education loans accessed through the StudentLoans.gov website. The Federal PIN was versatile and opened a number of doors when it came to accessing education information/services provided by the Department of Education (FAFSA.gov, NSLDS.gov, StudentAid.gov, etc…). The Federal PIN has served us well but it is now time for it to retire and allow a new age of technology to take its place and be the gatekeeper to all things good when it comes to college affordability and accessibility for future generations of students. This new technology is known as the Federal Student Aid ID or FSA ID for short. Beginning Sunday May 10th, 2015, the FSA ID replaces the PIN as the new way in which you will identify yourself with the Department of Education. Below is a nice visual of the simple 6-step process required to get your new FSA ID (on or after May 10th). I hope you find this information helpful as you continue to achieve your education goals! How many people do you know with crippling student loan debts? I know too many to count. Increased student loan debt combined with a lagging job market has created a segment of the population that is struggling to keep up with their monthly loan repayments. Recently President Barack Obama instituted the new Pay As You Earn (PAYE) loan repayment program to help these new graduates. As if the world of student loans wasn’t confusing enough, we just got one more. Let me illuminate this new option for you. So what is PAYE? Well it’s pretty simple actually. The PAYE option allows loan recipients to pay back their loan in monthly amounts based on their income and family size. The PAYE amount is to be paid over 20 years and is capped at 10% of monthly income. Sounds pretty great, right? So, who qualifies? First of all, you must be a new borrower as of October 1, 2007. Secondly, you qualify if you are considered under partial financial hardship, or that your monthly payments under the PAYE program would be lower than under a standard 10-year plan. And get this; once you qualify, you may continue to make payments under PAYE, even if you are no longer under a partial financial hardship. Only certain loans fall under the PAYE umbrella, though. Direct subsidized and unsubsidized loans count, as do Direct PLUS loans given to graduate and professional students, and only Direct Consolidation loans without underlying PLUS loans made to parents are included. Sadly, private loans do not qualify for this program. The new PAYE program is really great, and will help numerous college graduates stay on top of their finances. Additionally, there are a number of hidden bonuses included with the new program. If your monthly payments aren’t enough to cover the interest that is accrued, then the government will cover 3 years of interest payments from the first repayment date. So if you are really hurting, you basically get an interest free loan for the first three years, as long as you are timely on your payments. Another great feature of this loan is that interest will never capitalize above 10% of the original loan amount. This could make a big difference down the road for a college grad. Let’s imagine that you have a total loan debt coming out of college of $35,000. As you pay this off over the next 20 years, the max amount of interest that can be capitalized, or added to the amount of the loan, would be only $3,500. One more thing you should be aware of: after 20 years of paying your loan debt, the remaining amount is forgiven, and this is reduced to 10 years if you work for the government. Now, hopefully most college graduates will be able to pay off their loan in 20 years, but if times stay tough for them, the government has added this little caveat to make sure that no one is paying of their college debt during retirement. Seems totally great, right? Well, there are some downfalls to the program. First of all, the repayment period of 20 years is longer than the standard 10-year repayment, which translates to more interest paid over the life of the loan. If you do wait for the full period to pay off your debt, then when the remaining amount is forgiven, that amount is counted as income, possibly affecting taxes owed. Due to the monthly payment being based on income and family size, applicants must update annually. If you default on this requirement, your monthly amount will change to the 10-year standard amount and interest may be capitalized. Also, FFEL loans are not included under PAYE. A college education is an incredible thing, but sadly more and more people graduate college in a worse financial situation than when they started. The new Pay As You Earn program will help these new grads from drowning in their debt and should lead to more people attending and eventually graduating from colleges across the nation. Today’s guest article comes from David Fridland, a staff writer for CollegeFocus. He graduated from the University of Colorado-Boulder with a degree in Political Science. When not writing, David spends most of his time out on the Ultimate Frisbee Field. 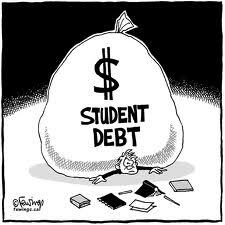 Apart from finding your first job out of college, there is no greater sign of “adulthood” than paying down your student loans. Writing out those first couple checks may be painful, but it’s crucial to be on time with your student loan payments. Late payments can rack up fees in the form of higher interest rates and also negatively impact your credit score. While it may not seem like a big deal right now, when you go hunting for your first car, first apartment, or even your first home, a low credit score can limit your options or even make you ineligible for financing on any of those major items. But let’s snap back to the present! At first glance, paying your student loans may seem overwhelming. However, it doesn’t have to be that way. Here are a few ways to make your financial life after college much simpler. Planning out your expenses for the month can go a long way towards making sure you’re not wondering where all of your hard-earned cash went at the end of the month — and not digging through couch cushions to pay your student loans or electric bills. To begin making a monthly budget, determine how much you make each month after taxes. Determine how much your rent, utilities (and yes, this can include your cable, Internet, and cell phone bill, too! ), and any credit card or student loan payments amount to each month. Look at your receipts for the month and take an honest inventory of how much you spend on food, evenings out with friends, and any transportation costs. Once you have a clearer picture of your finances, you’ll be able to decide how to best go about cutting corners to get some extra cash in your pocket at the end of the month. One way in which you can ensure you have a little extra left over at the end of the month is to consolidate your student loans. Student loan consolidation can help make the monthly task of paying your loans much more manageable. For starters, consolidation helps to re duce your monthly student loan payments by locking in a fixed interest rate. Depending on the loan, interest rates can vary. Student loan consolidation may be able to help you lessen the repayment rate of your loans by “bundling” them together. Once those loans are consolidated, you can lock in a rate that’s better — and lower — than what you were paying on each of your loans separately. Additionally, consolidating your student loans allows you make just one monthly payment — which is a lot easier than having to keep track of multiple loan payments to send to different lenders. Factors vary when it comes to consolidating your student loans, so be sure to check into whether or not you are eligible. Remember when you were applying to colleges, poring over student loan financing options available to you? Those hours spent applying for scholarships or financial aid? Well, it’s not over yet! Before and during college, you may not have been as aware of the financial aid options that were available to you. Now, during the repayment phase, a little “homework” on your part can go a long way towards helping your bottom line at the end of each month. There are a few ways in which borrowers with federal loans can keep their monthly payments within their means. Some folks can also qualify for deferment of their student loan payments for a specified period of time, typically 3-6 months. While deferment can be of great help to those in dire financial straits, please be aware that interest will accrue on the balance of the loan, so it may not necessarily be the best option. To ensure you’re able to make your monthly student loan payment on-time, there are a number of options recent — and even not-so-recent — grads can explore. Income-Based Repayment (IBR) plans are available to borrowers with Federal Direct and federally-guaranteed loans who have a financial hardship with the amount on the eligible loans exceeding 15% of your monthly discretionary income — anything left over after paying your taxes, food, shelter, and clothing expenses. The recent Pay As You Earn program launched by President Obama can help keep monthly student loan payments to 10% of your discretionary income. To qualify, borrowers must have taken out loans on or before October 1, 2007 and have at least one additional loan after October 2011. This additional loan can come in the form of a new loan, or having consolidated their loans after October 2011. It pays to do your homework even after you graduate to ensure a healthy financial future! Today’s guest article was written by Holly Wolf, the Chief Marketing Officer of Conestoga Bank. Conestoga Bank, which offers student loans, has locations across Philadelphia and Southeast Pennsylvania and provides banking to consumers and businesses, including checking, savings and loan services. Conestoga Bank is a partner with iHelp Student Loans – a leading provider of financing of private student loans and private student loan consolidation. This publication does not constitute legal, accounting or other professional advice. Although it is intended to be accurate, neither the publisher nor any other party assumes liability for loss or damage due to reliance on this material. As a student looking for a more affordable college education, which policies should you be concerned with during the current presidential race? In the media and on their own personal websites, both candidates have laid out very different plans for the future of higher education. Both do agree on one thing, however, rising tuition costs are out of control. According to the Consumer Price Index, over the last 30 years, tuition has increased at four times the rate of inflation. Read on to find out how each candidate plans to slow rapid tuition increase and help you manage the cost of higher education. 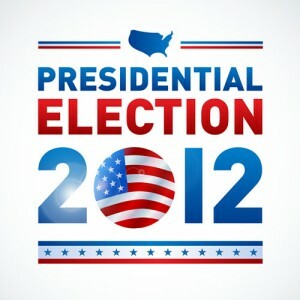 For a more detailed overview, click here to check out Presidential Policies: Higher Education. This whitepaper was recently published by eCollegeFinder.org, a site that matches students with online colleges. If elected, Barack Obama has plans to cultivate many of the policies he supported and helped put into action while in office. 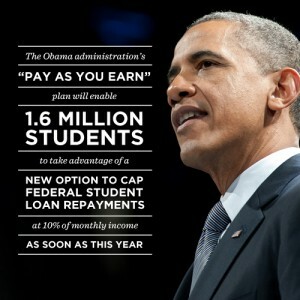 Obama has taken care to emphasize his policy points affecting federal loans and Pell Grants. As of now, student loans are directed through the federal government and after 2014, new students’ loans will be forgiven after 20 years. Loans will be forgiven in only 10 years for those in public-service, such as nurses, teachers, and those in the military. The policy allows students to put only 10% of their disposable income toward repaying student loans. Current regulations on federal loans cut private banks out of the equation, a process that is expected to save $60 billion over the next 10 years. With this money, Obama plans to increase maximum amounts awarded through Pell Grants. 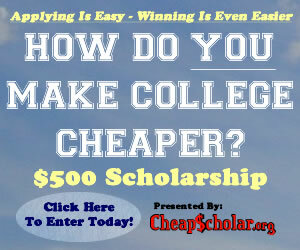 This school year, students can be awarded up to $5,550, depending on a number of factors. Click here to read more about the Democratic educational platform. Mitt Romney has advocated many changes to the current state of higher education. His focus has been on the privatization of the educational market, hoping to drive down loan and tuition rates by opening up the space and increasing competition. Romney believes that private banks should be able to reenter the federal loan process and the current loan forgiveness policy should be eliminated. He has encouraged students taking out loans to choose colleges and majors based upon the student’s individual financial situation and to make choices that will allow him or her to more easily repay loans later. He has noted that proprietary private educational institutions bring “healthy competition to higher education” and may competitively bring tuition costs down if students consider these institutions more seriously. Click here to read more about the Republican educational platform. 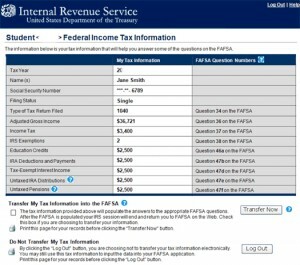 Over the course of the past few weeks, CheapScholar.org has been covering the implementation of the new IRS Data Retrieval Tool that has been incorporated into the FAFSA filing process. The concept of making the information gathering process easier is a noble one but there has certainly been some challenges along the way. Based upon the amount of traffic we have seen and the number of comments and emails that have been received, the IRS Data Retrieval Tool has certainly been a hot topic for families and students. In an effort to keep our readers up-to-speed with information related to the DRT, I wanted to share with you the most recent announcement provided by the Department of Education. It appears that a temporary reprieve from the DRT requirement is being provided through July 15th. Below are some excerpts from the announcement letter. However, you can click here to see the entire document. Hope this helps! As the April tax deadline approaches, we are aware that some students and families may not be able to immediately use the FAFSA-IRS Data Retrieval Tool or to obtain IRS Tax Return Transcripts needed to complete the verification process primarily because of the large volume of tax returns coming in at this time of year. In the limited set of cases where an aid applicant, who has filed a tax return and attempted unsuccessfully to use the IRS Data Retrieval Tool or to obtain IRS Tax Return transcripts, needs a timely alternative for meeting the 2012-2013 verification requirements, institutions may, until July 15, 2012, use a signed copy of the relevant (i.e., applicant, spouse, or parent) 2011 IRS Tax Return (Form 1040, 1040A, or 1040EZ, as appropriate) as acceptable verification documentation for the 2012-2013 award year. After July 15, 2012, institutions must comply with the acceptable documentation requirements included in the July 13, 2011 Federal Register notice and in DCL GEN-11-13. The Department will require some institutions to obtain verification documentation in compliance with the current acceptable documentation requirements for a sample of the institution’s students whose information was verified using a paper copy of a tax return. Completing the FAFSA is the single most important step a family can take when trying to access funds to help cover educational expenses. Quite a bit of emphasis is put on families to complete the FAFSA as soon as possible. As a matter of fact, the FAFSA process allows for estimated tax information to be submitted if a family has not yet filed their taxes with the IRS. Families that choose to submit estimated tax figures are required, utilizing information from their tax forms or via the IRS Data Retrieval Tool, to go back into the FAFSA portal later and submit actual figures. The Department of Education sends reminders out to these families but for some odd reason they decided to send that notification out yesterday. So, if you got that notification/email (see below), don’t worry, don’t despair, don’t call your financial aid office…you are fine. Just don’t forget to submit your actual figures after you file your taxes. Email below has been graciously provided by one of our regular contributors, Mr. Randy Green. When you completed your 2012-2013 Free Application for Federal Student Aid (FAFSA), you indicated that you were going to file your taxes and were providing estimated 2011 tax information. Now that the federal tax filing deadline has passed and you have probably filed your 2011 tax returns, it is time for you to update your FAFSA. You can update your FAFSA at www.fafsa.gov. You should change your answer on the FAFSA (question 32) to reflect that you have “already completed” your tax return. Once you’ve made this change, you will need to update the information you initially reported on the FAFSA to reflect the actual information from the 2011 tax return you filed. If you filed a federal tax return with the IRS, when you access your FAFSA online, you may be eligible to use the IRS Data Retrieval Tool, which is the best and easiest way to provide accurate tax information. With just a few simple steps, you can view information from your IRS tax return and transfer that information directly into your FAFSA. If you are unable to use the IRS Data Retrieval Tool, you are still required to update the income information on your FAFSA so that it reflects the information on the 2011 tax return you filed. The tax-related questions you should review on your FAFSA include adjusted gross income, income tax paid, number of exemptions, and income earned from work. You should also ensure that your FAFSA correctly identifies the type of tax return that was filed (IRS 1040, 1040A, 1040EZ, foreign tax return, etc.) and that you have entered the correct amounts for Additional Financial Information (questions 43a-f) and Other Untaxed Income (questions 44a-j). It is important that you make the necessary changes to the tax information so that your FAFSA includes the same information that was included on your tax return. However, when making corrections based on your completed federal tax returns, do not update other information that was correct at the time you filed your FAFSA. For example, do not change your answer for household size (question 93) or for number in college (question 94); unless your answer was incorrect as of the date your FAFSA was originally signed. Your ability to receive federal student aid can be impacted if you do not make the necessary updates or corrections. Thank you for your attention to this important matter. If you have additional questions regarding the IRS Data Retrieval Tool, online help is available. Visit www.fafsa.gov and click the “Browse Help” feature on the FAFSA home page for information on the tool and the FAFSA process. The following is a guest article submitted by Mary Fallon from Student Aid Services. Federal aid applications are rejected by the federal government for errors from miscalculating adjusted gross income to not signing the form. Calculation mistakes can reduce an aid award even if an aid application isn’t rejected. For example, taxable income isn’t adjusted gross income. If parents have tapped into retirement funds, it should be added to either untaxed income or adjusted gross income, not both, or the Expected Family Contribution (EFC) will increase, and aid eligibility will decrease. Those who file as close to January 1 as possible are in the best position to get all the aid they are eligible to receive. Using income estimates is allowed – even encouraged – and a student won’t lose their place in the virtual line by later updating the application with final income amounts. Most colleges and states have their own deadlines. The earliest deadline for the 2012-13 FAFSA is in four weeks – Feb 1, 2012. The longer a student waits, the more students get ahead of them. A primary residence, retirement plans, small family-owned businesses, and the cash value of life insurance don’t count as assets on the FAFSA. Some of the most common and costly mistakes are made by incorrectly reporting assets. Just because a student financially supports themselves, doesn’t mean they are independent under FAFSA rules. Many students are considered dependent until age 24 requiring parents’ income on their FAFSA. However, for children of divorced parents only the income of the parent with whom the child lived with the most during the past 12 months is counted. If a member of a household has had their job eliminated, a student may be eligible for more aid. Look for the ‘dislocated worker’ question and see if the family meets one of the four criteria. Dislocated workers’ assets are counted differently than others – typically helping reduce an EFC, which increases aid eligibility. Transposing numbers and mistyping are very common mistakes. Double check everything. There are hundreds of ways to make a mistake on a FAFSA. Having a professional check the answers can help ensure a student gets the most aid possible. Answer the FAFSA truthfully, accurately and completely. While most high school counselors don’t have time or in-depth FAFSA knowledge to assist students, some communities host FAFSA-preparation events each winter. 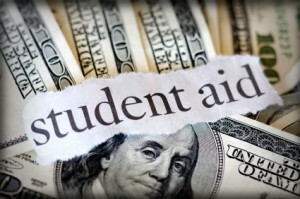 College financial aid officials may provide guidance to their students. Help from fee-based FAFSA preparation services is allowed, too. Some experts, such as Student Financial Aid Services, provide free or discounted services to low-income students and provide assistance in multiple languages. Waiting for the spring arrival of aid award letters to learn a student’s aid eligibility and a college’s affordability is agony. Why wait? Check colleges’ Net Price Calculators (NPC) for an estimate of a full-time, first-time student’s aid eligibility and net price. Advanced NPCs also estimate out-of-pocket cost and the total cost of a degree. The most reliable NPCs ask 30 to 40 questions, which takes about 10 minutes to answer. That’s insight into aid eligibility in the time it takes to make a sandwich. But remember, answering NPC questions, will not get a student their aid, preparing a FAFSA is required.